The Zionist revolution was part of the great transformative movements of the 20th century. It sought to transform the Jews from a people always on the move to one rooted in their ancient homeland; from a nation of merchants to one of farmers and laborers; from a multi-lingual civilization to a new Hebraic one; from a timid Jacob to a brave and militant David. 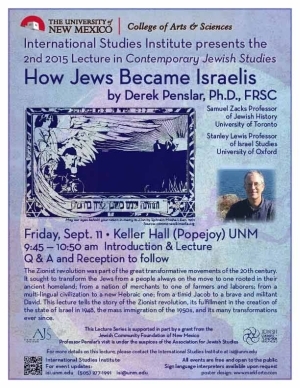 This lecture tells the story of the Zionist revolution, its fulfillment in the creation of the state of Israel in 1948, the mass immigration of the 1950s, and its many transformations ever since.